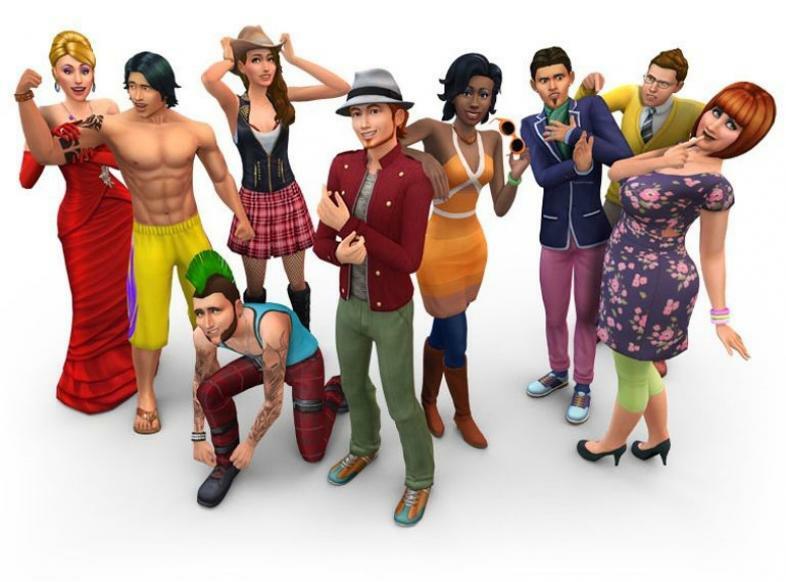 The Sims 4 is pretty packed, but what more do we want? Let’s assume that there will indeed be a Sims 5 in the near future. I mean, the team did say a few years ago that there will not be a Sims 5 if The Sims 4 isn’t successful, and I’m pretty sure so far that The Sims 4 has indeed been successful! There are lots of signs pointing towards a release date in 2019 – the main sign is their rhythm of releasing new games (generally every 4/5 years, with The Sims being released in 2000, The Sims 2 in 2004, The Sims 3 in 2009 and the Sims 4 in 2014). How cool would virtual reality be?! Part of the Sims charm is the almost endless ability to customise your own homes and other buildings – so what better way to do so using VR to actually walk around the rooms you have built to check every single detail? You could also sit with your Sim family as they eat dinner – and possibly even interact with them yourself as if you were a Sim? The possibilities are endless if VR were to be introduced, and I would totally use it to my full advantage to open up more game possibilities with The Sims! OK, so The Sims 3 did, indeed, have open-world gameplay to a certain extent. The Sims 4 decided to narrow this down and kind of have areas within each neighbourhood that were open world which, in my opinion, was a complete step back from the good progress they have going on. I understand that this could prove difficult in terms of technicality, but as we are seeing more and more games that are truly open world, such as Nintendo’s latest hit The Legend of Zelda: Breath of the Wilf, is suggesting it is something that is slowly but surely becoming possibly in a huge variety of games. Just imagine no loading screens whatsoever (apart from the initial loading screen when you start the game, of course), and, as in The Sims 3, your Sim goes to work without any loading screens, they can visit friends and go to restaurants without loading screens, and more! What would be really cool to is if all the separate neighbourhoods were also accessible without loading screens. So I guess we’ll have to wait and see if Maxis will bring back the idea they had with The Sims 3 and expand it even further. I imagine this wouldn’t be for everyone, due to the gameplay we are used to in the previous Sims games, but imagine if the idea of human behaviour was added to The Sims. And I’m not talking about simple things such as “I am hungry, so I will eat” – I think it would be really cool, and of course realistic, if your Sims started to get more choices of their own which you simply have to agree with (or at least have the opportunity to decline, I guess). For example, say your Sim just really can’t be bothered to go to work one day – then he or she will tell you, so, if you don’t force your Sim to go to work, you call in sick. Imagine, too, if, for example, Sims don’t actually start off in the world with traits – like humans, they eventually earn traits from trying out things. So if you make them play video games a few hours a day, they will eventually become a Game Freak – not because you said so at the beginning, but because they kind of “learnt” the trait. Another example could be Lazy – if your Sim sits on the butts all day watching TV, playing videos, reading books… they may positive traits in some points (such as a Book Lover), but eventually, if they don’t get out and about and active, they will get used to it and earn the trait of Lazy. So the human behaviour there is that they learn these traits and aren’t just generically assigned them to start with. Just imagine the endless possibilities in a fully-functional human behaviour system in The Sims! The Sims 5, if it is released at all, may be a few years away, but it’s definitely exciting to think of the possibilities there is for further development on an already great game!